Get an Calaveras County Traffic Ticket? You Can Beat It! Did You Get a Ticket in Calaveras County, California? You can fight Calaveras traffic tickets by getting them dismissed much easier than you may think. In Calaveras, California, drivers are allowed to contest a traffic ticket using a Trial by Written Declaration. This is best way to fight a traffic ticket without going to an Calaveras courthouse or hiring an expensive Calaveras traffic ticket lawyer. We have found this to be the best way to contest a California traffic ticket, period. This option is available to every driver who receives a traffic ticket in Calaveras, California. In fact, if you turn over your traffic ticket you will see that a Trial by Written Declaration is listed right on the back of your ticket as one way to fight it. This process has been around since 1978 to avoid having to pay traffic ticket fines. TicketBust has been helping California drivers prepare Trial by Written Declaration’s for over 14 years. In fact, tens of thousands of vehicle tickets in California have been contested using our system. We are the original traffic ticket fighter and the TicketBust system has been developed specifically to prepare all your documents properly based on how you answer a few questions. This way you can fight your ticket, knowing you have maximized your chances of having the court dismiss your Calaveras County traffic ticket. TicketBust service will prepare your full defense package for you, which includes your Trial by Written Declaration and all the defense documents required by Calaveras traffic court. Fill out the yellow form to fight your Calaveras traffic ticket now! Did you know that you aren’t allowed to pass the white limit line when you are stopped at an intersection? From our experience, this can be a common ticket issued in the county of Calaveras, so be on the lookout and stay behind that solid white line. If you find yourself having received a traffic ticket in Calaveras, give us a call or fill out our form to see how we can help! 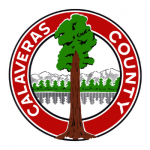 Calaveras County is named after the Spanish word Calaveras or “skulls” and is reportedly named for the remains of Native Americans discovered by the Spanish explorer Captain Cabriel Moraga during his 1806-1808 expeditions. Gold prospecting brought large numbers to the area including brothers Henry and George Angel who established the Angels Trading Post, later shortened to Angels Camp. Today that same area is the city of Angels Camp, which is the only incorporated city located within the County. Calaveras County was one of the original counties of the state of California, created in 1850 as the state was admitted to the Union. The total area of the county is approximately 1,037 square miles, expanding over rolling hills, creeks, reservoirs, and a number of caverns. The area is also home to the Calaveras Big Trees State Park, a preserve of Giant Sequoia trees and a major tourist attraction since 1852. Calaveras County maintains a population of roughly 45,000 people and is known for its friendly businesses and residents. Calaveras County made an appearance in Mark Twain’s The Celebrated Jumping Frog of Calaveras County. Each year the county hosts an annual fair and Jumping Frog Jubilee in Angels Camp, California, featuring a frog-jumping contest to celebrate its association with the story. Winners of the frog jumping contest receive a brass plaque in the Frog Hop of Fame in historic Main Street, along with an impressive trophy and cash prize.